Much of the worlds small and micro hydro potential remains undeveloped and represents a huge potential for sustainable energy recovery. According to the World Energy Council, the economically exploitable potential for small-scale hydropower schemes (capacities up to 10 MW) in the USA alone is 198,151 GWh per year. The U.S. Department of Energy (DOE) identified 372 GW undeveloped hydropower resources and has set a goal of increasing the U.S. hydropower capacity by 100 GW before 2050. In addition, according to the American Society for Civil Engineers’ “2017 Report Card for America’s Infrastructure,” 70% of the 84,000 dams in the U.S. will be over 50 years old by 2020 and will be in need of repair. 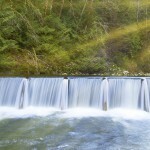 Cadens, LLC plans to lead the way in the development of new hydropower technologies. We are building a team to actively address conversions to produce clean, renewable energy at existing non-power dams and existing powered dams in need of maintenance and upgrades. With an agile combination of off-the-shelf and standardized parts, along with site-specific turbines generated on 3D printers, we envision modular, drop-in hydropower systems that are lightweight, energy dense, and optimized for each specific site. A particular focus are dams with a capacity of <1MW, which represent 98% of the 54,000 suitable NPD’s. River communities, private landowners, and businesses that must rebuild vital dam infrastructure can partner with us to capitalize on a significant opportunity to retrofit non-hydropower dams with new, lightweight hydro turbine machines.